As a freelance writer, one of the most important investments you can make is in yourself. Every day, freelance marketing writers promote businesses and give them engaging content for their audiences, but what are you doing to market yourself? This is first and foremost. Think like a mogul. List your goals, objectives and timelines to get a clear picture on how to proceed, the tools you need and a structure for moving forward. Every good strategy starts with a plan. When marketing yourself, don’t skimp! This means you should have business cards, brochures and a portfolio ready to present at a moment’s notice for potential clients. Don’t discount the value of having a personal logo and tag line as well. Many business transactions result from passing a business card in the airport, sitting in a meeting or participating in a workshop. The more you do to enhance your brand, the more people will recognize and remember you. This is especially important. Everything is online! Your online content marketing strategy can enhance your visibility and build your brand. Make sure your presence is always professional and thorough by separating your personal and business profiles. Your website should be clean, informative and optimized for mobile and smart devices. All your contact information and social media profiles should be current and listed, with links to a current electronic portfolio. A Facebook, Google+ and LinkedIn page will also enhance your visibility and connect you with like-minded professionals. If you are using social media, tracking your analytics and keeping up with changes in the field are important. You may also want to consider having online workshops or placing how-to videos on your site and social media pages to gain credibility and authority in your field. Engage your audience! Be available to converse and answer questions that aren’t promotional. The public migrates to individuals who have a real-time presence and are genuine in what they are doing. No one can discount the power of networking. Wherever and whenever you can, seek out and use these opportunities wisely. There are many companies looking for freelance writers and you may be that one person in the right place at the right time. Use those memberships and groups you belong to and get the word out about your services. As a writer, you know and understand the value of time. 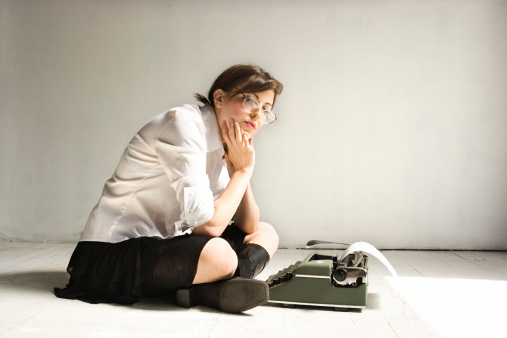 These tips can help you gain credibility as a writer in the industry. It’s time to change the game and become your own visionary. Remember, no one can market yourself better than you! Allaire W is a freelance writer available on WriterAccess, a marketplace where clients and expert writers connect for assignments.